Comments: In most non busy cardiac center stent angioplasty labs needs to be informed and angiographer called for doing the procedure and that take time. 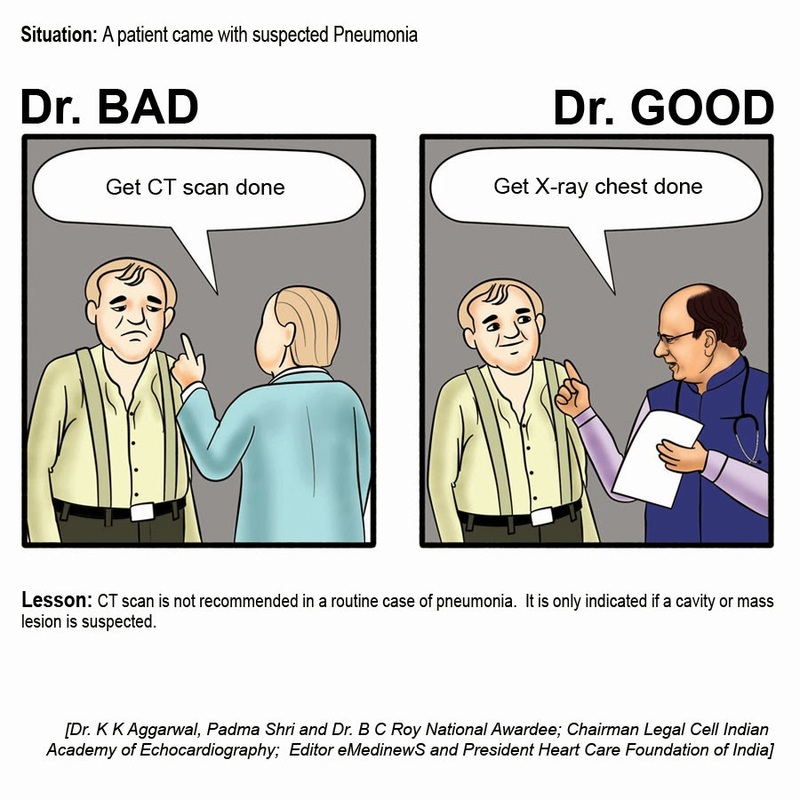 In such cases give clot dissolving drugs. "Pharmac South 2014" –the Destination for Innovative and Reliable Formulations & Healthcare Products was organized by the Tamil Nadu branch of Indian Drug Manufacturers’ Association (IDMA–TNPSB) in cooperation with Orbit Exhibitions Pvt. Ltd and partnered with Pharmexcil on 18th and 19th July 2014. This international exhibition was held at Chennai Trade Center, Nandambakkam. Shri SV Veeramani, All India IDMA President and CMD of Fourrts (India) Laboratories Pvt. Ltd inaugurated the convention and delivered the inaugural speech on behalf of Ms Aradhana Johri, IAS Secretary, Dept. of Pharmaceuticals, Govt. of India. Felicitation was done by Shri S Abdul Khader, Director of Drugs Control, Tamil Nadu, Govt. 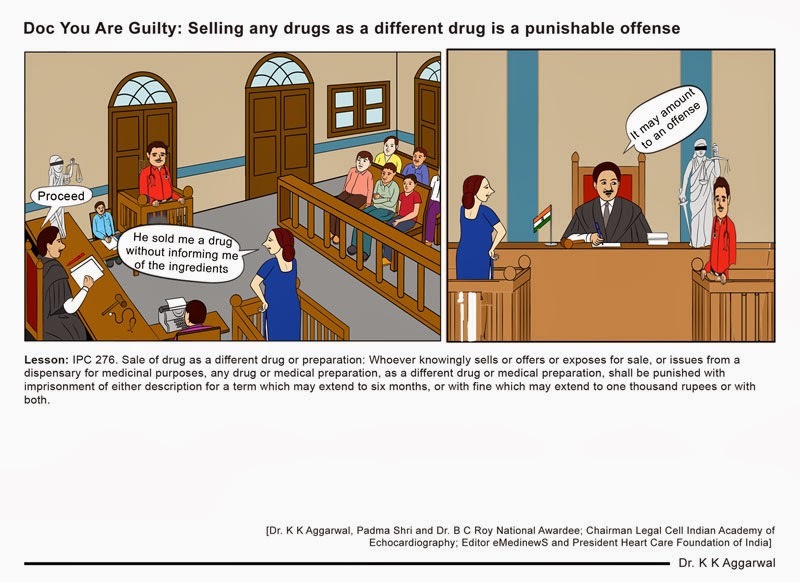 of Tamil Nadu and Dr S Manivannan, Deputy Drugs Controller (I), South Zone, Central Drugs Standard Control Organization. Shri M Rajarathinam, Chairman, IDMA TNPSB welcomed the gathering and the Vote of Thanks was proposed by Shri J Jayaseelan, Vice Chairman, IDMA TNPSB. Around 100 pharma companies from South India participated in the event. Special Focus was given to small and medium manufacturing companies. Panel discussions on ‘Export Opportunities to Upcoming Markets’ and ’Building Brands to enhance your Market Share’ were held on the 18th and19th respectively. Pharmac South 2014 provided an opportunity not only to the manufacturers but also to other pharma professionals such as Brand Managers, Export Managers to get new ideas and directly interact with manufacturers. Similarly, the Pharmaceutical marketing companies too had the chance to identify ideal contract manufacturers for their products. If you bump into someone you haven’t met for a long time, then it is advisable to stop and talk to him or her. Remain aware of a message from the universe that they might be carrying for you. Follow the coincidence through, and you’ll be amazed to find where it takes you. Time and again, we all experience coincidences that has some special meaning or significance, and that appears to defy the laws of probability. Most of us tend to ignore them as something amusing or insignificant. Deepak Chopra calls ‘Synchro Destiny’ as the inherent Power of Meaningful Coincidence (present in everyone) to manifest ‘ Abundance’ in one’s Life. 7l ‘Abundance’ may include material wealth, emotional well–being, spiritual fulfillment, ability to fully experience love and compassion, and feel the joy and being able to spread it to others. Synchro–Destiny is more than a coincidence as it contains a purpose or a meaning, has a direction and a force of intention. All these come from within us, and each one of us has the power to activate these. ‘Synchro–Destiny’ as a phenomenon is not uncommon and is highly significant. Every meaningful coincidence has a force and direction, and it requires understanding and participating in the process of meaningful coincidence. It requires lending our attention and intention in order to bring the process to fruition. When this happens, there occurs a spontaneous fulfillment of desire in the field of infinite possibilities. It is not about waving a magic wand to gratify ego-based desires. It is about something very different – it’ s actually the fulfillment of intentions that exist at much deeper levels, and of desires that are based in spirit rather than ego. To understand the genesis at Synchro–Destiny, one needs to know that that our lives are truly connected at every moment to the creative power of the universe (called ‘ Brahman’ in Vedas). These connections require acquiring a state described in Vedic description as ‘ Ritam bhara pragya’ (Ritam (rhythm), Bhara (full of), Pragya (mind), or in other words "a mind full of rhythm"). It represents that state of mind where the thought waves are synchronous with the order of the universe and where the microcosm and macrocosm are in coherence with each other. Consciousness or the ‘ soul’ is the silent state of mind with full powers. These powers are hidden under the smoke of mind, intellect and ego which is controlled by the software of action, memory and desires. The interface between the two layers, the disturbed and the undisturbed state of consciousness, is what the "ritam bhara pragya"is. Once you cross into this state, the intentions becomes powerful and one start experiencing spontaneous fulfillment of desires. In Vedas, this term is loosely translated as "a state where only truth is known". It is said that if one can be conscious in this state, a desire can be manifested as it is right at the level of manifestation onto the physical plane. This is also the level where one experiences the Siddhis or super normal powers as described by Patanjali in the Yoga Sutras. Deepak Chopra in his latest book on this subject describes seven key principles for mastering Synchro–Destiny. The existence of the Conscious Energy Field: It indicates the presence of an underlying intelligence within and outside the body. The whole universe can be called as an extended part of our body. (Sri Ramanuja, the proponent of qualified dualism). When one lives one’s life with an appreciation of coincidences and their meanings, one has connected to the underlying field of infinite possibilities. Creating Cosmic Connections: Creating Cosmic Connections means creating a human environment in which Synchrondash;Destiny can take place. In mastering Synchro–Destiny, the ability to create positive human relationships is much more than a tactic or a manipulative necessity, and is rather very fundamental to life, in the same way as ‘gravity’ or ‘having air to breathe’ is fundamental. Mastering Inner Dialogue: Controlling the disturbed state of consciousness. The art of Penetrating the Conspiracy of Improbabilities: It means learning to recognize meaningful coincidences and to see them as opportunities rather than just little breaks in your daily routine (synchronistic moments). Harnessing Emotional Turbulence: Once we understand that the universe really is our extended body, it becomes very clear that negative energy within ourselves is very self –destructive. Emotional Turbulence is a major barrier to the spontaneous fulfillment of desire. Transforming negative energy into a higher level of awareness is the fifth principle of mastering Synchro-Destiny. Learning to use the Infinite Organizing Power of Intention: Understanding that beyond known forces like gravity or electromagnetism that control the universe, there is a strong internal thought force called ‘intention’. Celebrating the Cosmic Dance: When you have mastered Synchro –Destiny, and have learned to synchronize your life with the universe itself, you are Celebrating the Cosmic Dance. Once you follow these principles, the following transformations take place. o You see the world as an extension of your inner self, as part of the bigger biosphere. o Through relationships you learn about your non–local self (spiritual, soulful self) and the higher realm that connects us. o You become aware of when your thoughts are coming from the spirit and when they are coming from the ego. o You understand the power of intention and how it works. o You let go of the grievances and resentment which overshadow your spiritual self. o You value both the masculine and feminine aspects of your being. o You start appreciating the wonders of the universe and stay alert to coincidences. SynchroDestiny can be learnt as a procedure that involves gaining access to a place deep within us (restful alert state of consciousness during meditation), willfully recognizing and noticing the coincidences in the daily routine and looking for the message behind them; and using the power of intention to take advantage of them. Stage 1: Start seeing coincidences while they are happening in daily routine. Stage 2: Develop an awareness of coincidences while they are happening and take advantage of the opportunities they may be presenting. Awareness translates into energy hence the more attention you give to coincidences, the more is the likelihood for them to happen. Final stage: Become fully aware of the interrelatedness of all things, how each affects the next, and how they all are ‘in sync’ with one another. ‘In sync’ is a colloquial way of saying ‘in synchrony’, which means operating in unison, as ‘one’. This synchrony is choreographed by a great, all pervasive higher intelligence that lies at the heart of nature (Universe), and is manifest in each of us through what we call the ‘soul’. By applying attention and force of intention to these coincidences, we can create specific position outcomes in our lives. James Redfield, in the ‘Celestine Prophecy’, describes the first insight as about following meaningful coincidences. Coincidences, if followed through, are seen as a way of evolving to a higher level of vibration consciousness. When we are in the flow, we experience more synchronous events and hence more pleasure and less pain. The flow of coincidences is our path to higher grounds of evolution. The Law of Synchronization or the Harmonics of the Universe: It is taught in metaphysics, according to ancient writings…also according to modern mystics, including the respected Carl Jung that everything in this Universe, at any given moment at time is synchronized to everything else all working together, interlocked and interdependent and all related. The inseparable astrology itself is a pure demonstration of this Law. C G Jung: "We talk about synchronicity when two or more seemingly ‘pure chance’ events coincide to form a connection that has a special meaning for the perceiver. People above the age of 50 without excess bleeding risk should take low-dose daily aspirin (75 to 100 mg) as per the current recommendations. Patients who are more concerned about the bleeding risks than the potential benefits (prevention of cardiovascular events and cancer) may reasonably choose to not take aspirin for primary prevention. Meta –analyses of randomized trials have shown aspirin to reduce the risk of non-fatal myocardial infarction (Arch Intern Med 2012; 172:209) and long–term aspirin use reduces overall cancer risk (Lancet 2012; 379:1602). A meta–analysis addressing this combined outcome suggests that aspirin use in 1000 average risk patients at age 60 years would be expected to result, over a 10–year period, in six fewer deaths, 19 fewer non-fatal myocardial infarctions, 14 fewer cancers, and 16 more major bleeding events. Reaction: Oh my God! Why was the blood pressure 90/80 ignored? 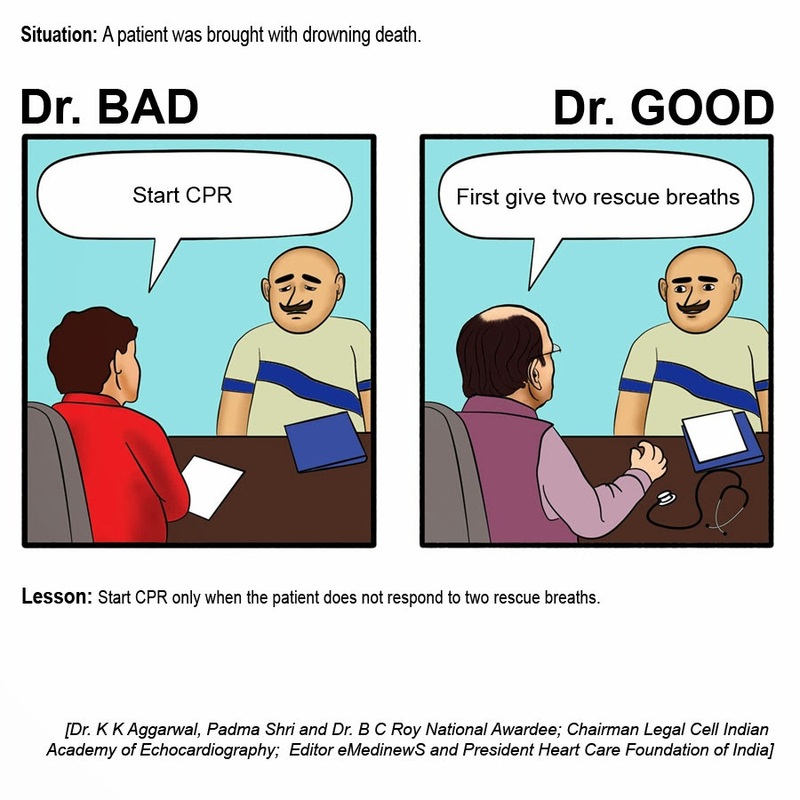 Lesson: Make sure that a pulse pressure of less than 20 is not ignored, it is an impending sign that the patient is going into shock. A dad walks into a market with his young son. The kid is holding a Ruppe coin. Suddenly, the boy starts choking and gasping for breath. The dad realizes the boy has swallowed the coin and starts panicking, shouting for help. Reaching the boy, the woman carefully takes hold of the boy’s balls and starts to squeeze, gently at first and then ever more firmly. After a few seconds the boy convulses violently and coughs up the coin, which the woman deftly catches in her free hand. Releasing the boy, she hands the coin to the father and walks back to her seat in the Tea stall without saying a word. If you love someone you feel it and that feeling is yours. Look at children. We still love our children when they disappoint us why not our workmates, teachers, friends and most of all partners? It’s because we put conditions on what we give out. Who hasn’t bought a present or done a job around the house expecting something in return – why? If you want to help someone or give something you choose to do it because you want to, not for "Brownie Points". No other reason than just because you want to –that is showing love. When you learn that giving love without expectation is the purest of all faith, then and only then, will you be on the road to really knowing yourself. During the monsoons, many people become victims of road traffic accidents. So it is important for the public to revise their knowledge about road safety, said Padma Shri, Dr. B C Roy National Awardee & DST National Science Communication Awardee, Dr. K K Aggarwal, President Heart Care Foundation of India and Sr National Vice President Indian Medical Association. The Heart Care Foundation of India released road safety guidelines to reduce dangers of accidents while driving and also requested the transport department and the traffic police to intensify their educational campaign in this regard. Drive slowly. Driving too fast is the No. 1 cause of accidents on rainy days. If an accident occurs or your vehicle stalls, pull as far off the road as possible, turn on the flashing emergency lights, and move to a safe area. If there is no safe place next to the road, stay in your car and remain buckled up. Drive in the tyre prints of the car ahead of you. When a car hydroplanes, it is riding on a thin layer of water between the tyres and the road. The water in tyre prints has already been displaced, so you get better traction. If your car hydroplanes, hold the steering wheel steady and lightly apply brakes. When you feel the tyres touch the pavement, slow until you regain control. Do not speed through standing water. Motorcyclists should bear in mind that crosswalk lines and pavement arrows are super–slick. Do not brake while in a curve if at all possible. Brake before entering the curve. Do not change lanes. If at all you need to do so, use turn signals for all lane changes and turn well in advance so that you do not surprise another driver and cause him to brake. Correct answers received from: Dr Jainendra Upadhyay, Dr Poonam Chablani, Dr K V Sarma, Dr Avtar Krishan. Correct answers received from: Dr K Raju.